Somebody's obviously excited! No less than Charles Martinet, the famed voice behind Mario the plumber, has taken to his Twitter to tweet about "a new Mario game". And no, he's apparently not referring to the New Super Mario Bros. Wii. Mamma Mia!!! I'm going to Seattle this week to record a new Mario game! Woo Hooo!!!!!! I can hardly wait!!!! Big day tomorrow! Seattle for a new Mario game! Yippeee!!! And just as a joke, it's going to rain...in San Francisco tomorrow! Awesome new Mario Game! 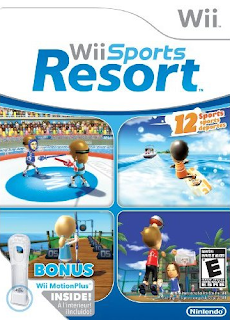 And it's not NSMB Wii, and it's not Galaxy 2, but it's going to be crazy fun! Another Mario game in the works, huh? What could it be? Do you have any guesses? Somebody from Neogaf forums has also mentioned something about Shigeru Miyamoto also dropping hints on his own Twitter account. An RPG Mario, maybe? We'll keep you posted on this. In the meantime, we'll keep following Martinet in case he tweets another exciting development in his new Mario voiceover job. I hope it is an RPG.It's great they are making more Mario games while there's 2 on the way. Lakeland, Flordia should be ashamed. 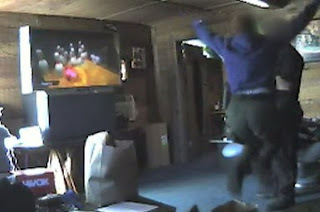 While raiding the residence for drugs, the police themselves thought it would be fun to play the Nintendo Wii that was hooked up on a big screen TV. Little did they know that a hidden camera was filming the area and they were caught playing the game while they were supposed to be working, for a whole 9 hours. The policemen were having sop much fun with the bowling minigame on WiiSports that they actually got the hang of it and got real good. It was reported that 16 officers were on the scene. An investigation into the matter was initiated. This new Wiimote being offered in Europe looks really cool, with many features that the current set lacks; wireless nunchuck, rechargeable batteries built-in, and of course the kicker, MotionPlus+ support without the extra dongle. 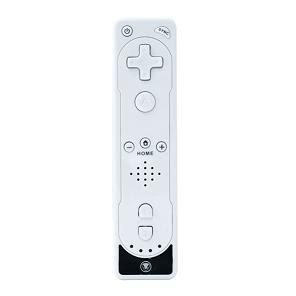 No word on whether this Wii Remote will be offered in the USA. It certainly packs a punch compared to the Mad Catz Wiimote and the Nyko Wand. The Remote XL+ comes with integrated Wii Motion Plus, as well as an external sync button to make synchronising remotes that bit easier, and a built in battery which can be charged via usb cable. To go with this is the Wireless Motion XL, which is basically a wireless Nunchuck. Being wireless it is obviously battery operated, but with the same charging capabilities as the Remote XL + and an off/on switch, the Nunchuck should have no problems pleasing everyone. 'We are pleased to offer innovative accessories that go Electronic Theatre Imagebeyond the usual offerings to our customers. The XL+ series was just the logical consequence of the market developments in recent months and the buyer will receive innovative and practical accessories from one source, without buying several gadgets.' Mike Steup, managing director of Sunflex Europe told us about the range of controls.